Inspired by ”free art”, Finn Juhl designed Poeten for his own home in 1941. Today this sofa represents a part of Danish cultural history and modern furniture that exudes values that have more or less disappeared in these days of fleeting fancies. 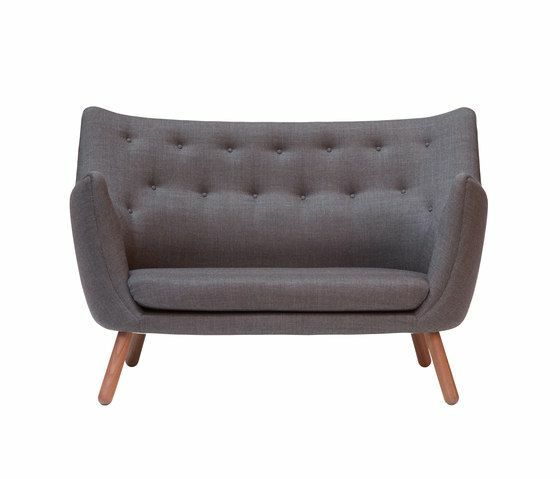 Poeten is made to the finest manufacturing standards with hand-sewn upholstery, and its legs come in several different types of wood. Founded in 1990 by Ivan Hansen and Henrik Sørensen, Onecollection manufactures designer furniture of a very high quality at its own factory in Ringkøbing, Denmark.